Select Your Own Delivery Day at No Extra Cost! GOOD NEWS!! We have now launched our FREE “Select your own delivery day” delivery service, giving you more freedom and flexibility to receive your delivery when it is convenient to you! We understand that it can be difficult for you to arrange delivery to fit in with your plans, so for the majority of postcodes and the majority of products, you can choose the day you would like your order delivered as part of the checkout process. This is then a confirmed delivery day so you don't need to worry about when your item will arrive or us contacting you to book the delivery in. If you can provide us with a mobile number we will also text you the day before delivery confirming if your order will be delivered in the morning or the afternoon. You can check our delivery availability by entering your postcode into the postcode checker box during checkout. Delivery is FREE to most UK mainland destinations. Extra charges may apply depending on your postcode, you can also use our postcode checker to see if any charges would be applicable to your area. We unfortunately have to apply charges to some areas but want to make this clear to avoid any unwanted surprises at the end of the ordering process! Should we not be able to deliver on the requested day we will give you a full refund on the extra delivery price paid. 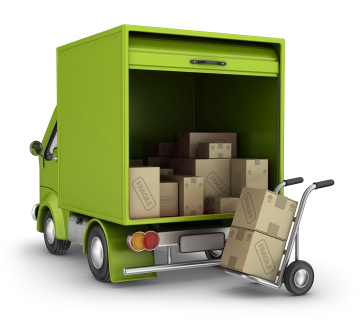 Our Select Your Own Delivery Day Service is available to the majority of areas but not all. If your postcode is not covered by this service then the lead time will be 5-10 days, please refer to our postcode map for any delivery extensions or delivery charges.